Joya de Nicaragua, a brand well-known for being the first premium cigar manufacturer in Nicaragua, has re-imagined one of their most beloved brands - Cabinetta. In 2014, Joya de Nicaragua traded in their old-school persona for the bright and modern vibe of JOYA Red - a smoke that caught the attention of critics and consumers alike. The cigars have since been followed up by the JOYA Black and now JOYA Cabinetta - a trio of cigars that combine old-school techniques with exciting flavors to bring new smoking experiences for the modern palate. The Cabinetta blend has long since been an eye-catching cigar, using two different wrappers to introduce a fun juxtaposition of spicy and sweet/creamy nuances. The cigar’s wrapper begins as Ecuadorian Connecticut Shade, which seamlessly transitions to a zesty Nicaragua Criollo - hidden beneath the cigar’s band. While the Criollo wrapper could only be smoked by those that dared to “nub” the Cabinetta, its primary function was to provide subtle spices from the wrapper leaf directly against the taste buds. Joya has increased the length of the Criollo wrapper for the new JOYA Cabinetta - smokers can now experience the unique flavor transition when the cigar burns through these polar-opposite wrappers. 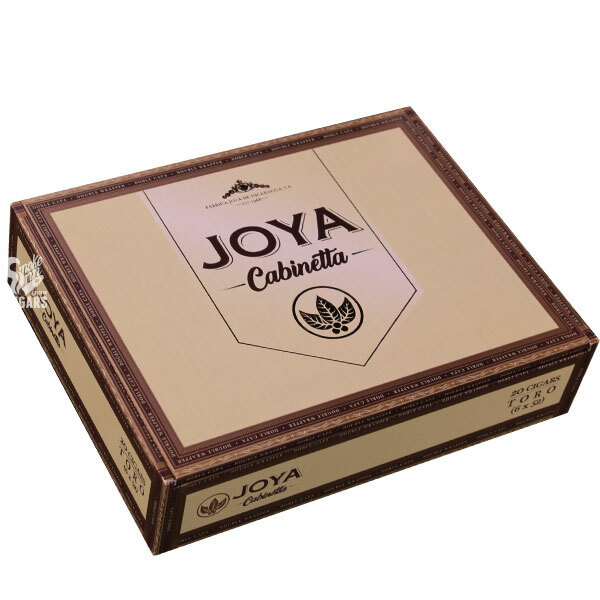 A fresh new look, totally redesigned packaging, a new collection of sizes, and a more dramatic shift in flavors makes JOYA Cabinetta a fresh experience for the modern smoker. One of our top recommendations for a morning smoke with a light to medium roast coffee.